Showcasing the work of photographer Clay Stang. What’s the ecological footprint of your country? 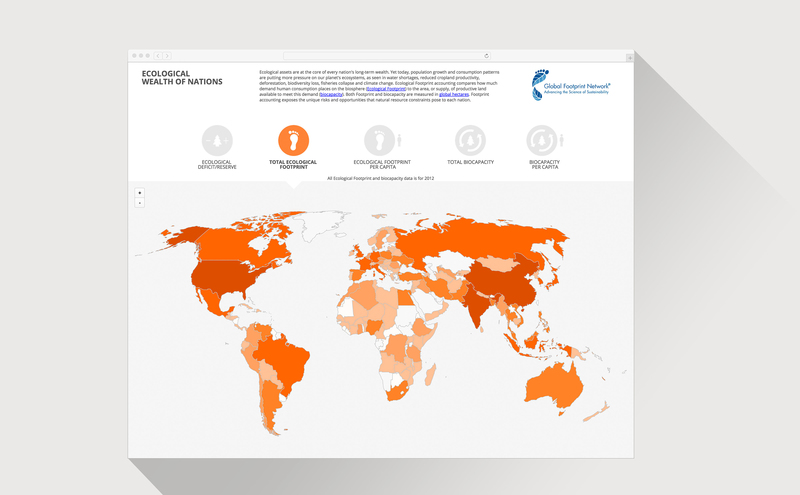 Global Footprint Network is a non-profit research organization that's changing how the world manages its natural resources and responds to climate change. 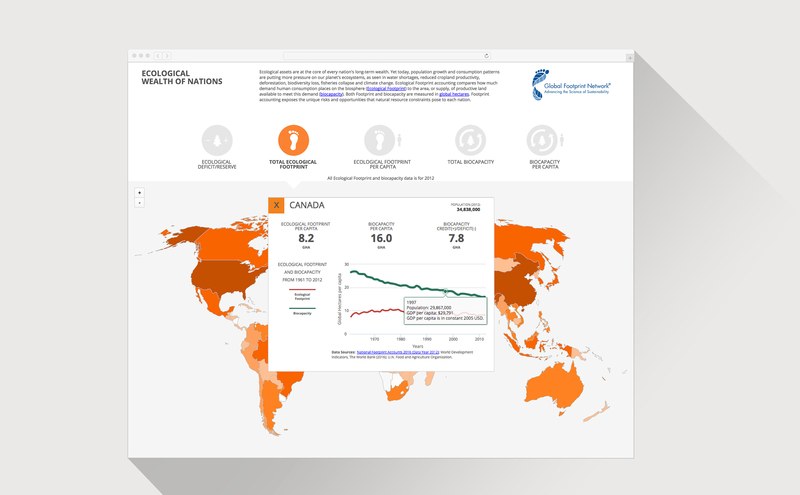 For this project, TOM designed and developed a microsite that visualizes the Ecological Footprint and Biocapacity of every country. CURIOUS TO LEARN THE FOOTPRINT OF YOUR COUNTRY? VISIT THE GLOBAL FOOTPRINT NETWORK WEBSITE. GFN needed an interactive-map solution that was not only budget-conscious, but could be easily updated in-house without too much fuss. TOM developed the maps using the Google Maps API. This allowed for a faster turnaround, a reduced overall cost, and a platform that allowed for easy data updating. Whether you have more questions or are ready for action, the best way forward is to get in touch. The TOM Agency is a multi-disciplinary creative studio with a focus on creating smart and tactful design work for our valued clientele.